Still looking for a gift to give to that special someone? Does your girlfriend already have every eye shadow pallette available? Not willing to spend $250 on makeup for your little sister but still want to get her something nice? Look no further! Here is a list of the best indie makeup and perfume to give to friends and family. The list will be ranked on both afforadability and quality, with some holiday themes thrown in for good measure. This perfume will instantly transport the recipient to the ski hills, as freshly fallen snow and sharp spruce trees fll the air around them. As the perfume dries down you begin to smell the hot cocoa waiting back at the lodge. Any snow bunny will be thrilled to recieve this beautiful blend so that she ca enjoy her favorite scent year round. It's made with skin loving coconut oil and is handmade in Oregon. 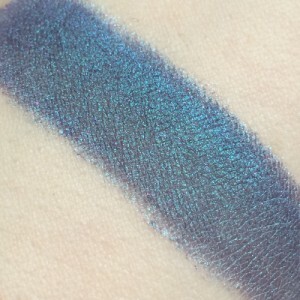 This unusual eye shadow might not be tradional for the christmas season but it's beautiful blue-purple base mixed with the green sparkles evoke the haunting Aurora Borealis dancing over the white tundra. The effect it evokes is so realistic you might catch a polar bear wandering along out of the corner of your eye! This color is only available for the month of December you so might want to pick up two, one for a friend and one for yourself. Shiro Cosmetics is run by two women in Oregon, making it a great choice for those supporting USA made products. 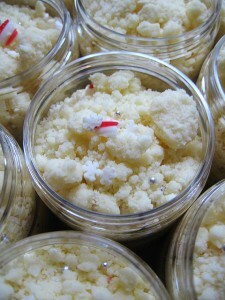 This White Snow, Bright Snow bath streusel is a wonderful gift for the bath lover on your list. This unique product foams and bubbles under running water while using cocoa butter to give you silky soft skin. This limited edition product smells of sweet vanilla with a sharp crack of peppermint, sure to put anyone in the holiday mood! This gift will certainly be appreciated after the holidays as Mom settles down into the tub to enjoy some well deserved pampering. This bright perfume from One Hand Washes the Other will delight those on your list who aren't snow bunnies. With traces of cranberry that mingle with orange and spices this is a wonderful holiday scent for gormand lovers! The sharp tag of the citrus combined with the smooth spice will likely bring to mind Christmas at Grandma's house, full of yummy smells and baked goods. This is a gorgeous non traditional scent that is hand crafted in the USA. This gorgeously festive nail polish will put the holiday cheer into the polish fanatic on your list! It is a beautiful dark green base with holographic sparkles. Once applied you'll feel just like a christmas tree! This beautiful polish is five free and includes two rollar balls for easy mixing. 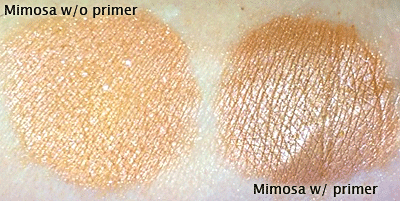 The formula is a dream, gliding on easily with no streaks and is completely opaque in just two coats. 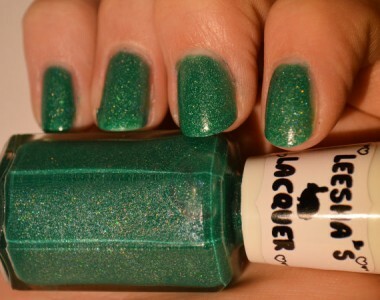 This polish stands up to brand names like Essie and OPI; it is sure to delight your friends and family. This beautiful holly red is inspired by A Christmas Story and evokes the brilliant packing that surrounds the fabled Red Ryder bb gun. This is part of a collection so while your picking this up take a look at the other colors inspired by Ralphie and his quest. One thing's for sure, unlike it's namesake, this eyeshadow won't make people exclaim "you'll shoot your eye out!" Give the gift of bubbly drinks this christmas, even to the under-21 crowd! This cheerful and sophisticated shadow is perfect for sipping drinks on Christmas Eve or opening gifts the next morning. The orange base lights up with subtle blue sparkles and in the right light turns a brilliant gold. This can easily translate into other looks and seasons as well, ensuring that it won't be set aside come January. It's sure to delight any makeup addict on your list! This lip balm is extremely moisturizing but the scent of buttered rum and cracked pecans makes it suitable for even the most masculine of recipients! Of course that doesn't mean you shouldn't share this gem with the ladies. The scent is mild enough that everyone, regardless of their beverage preference, can enjoy it. This is hand crafted with shea butter and pomegranete oil, giving intense moisture. This beautiful lip balm slides on smoothly and leaves behind a beautiful sheer tint that compliments any look. Best of all, the vegan on your list will love it since its made from plant material and oils. This gift, while wonderfully festive for the holiday season, will translate beautifully into other seasons as well making it one the recipient will enjoy months after they unwrap it. This gorgeous mulberry lip gloss is the perfect holiday color! 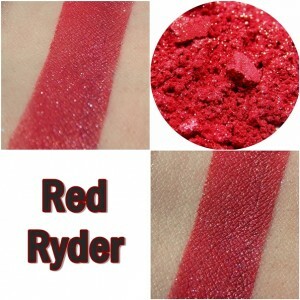 The formula is a dream, pigmented in one swipe and as non-sticky as lip gloss can get. 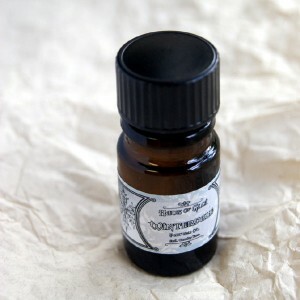 It comes scented with a wonderful hint of black walnut, although it can be ordered unscented for those with allergies. This would be a wonderful gift for a young girl just starting to experiment with makeup. With this list you are well on your way to finding affordable gifts that also support small business owners across America. 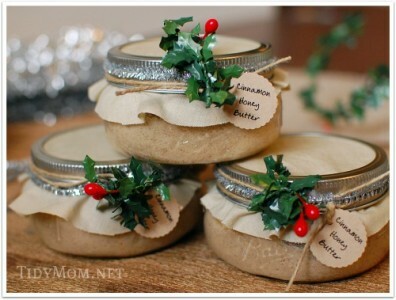 Any lady in your life would be delighted to recieve a perfume or bath streusel infused with a goregous holiday scent! And once the recipient sees the sparking colors of Aurora Borealis they'll forget all about diamonds and other sparkly things! These gifts are handcrafted in small batches so you don;t have to worry about duplicate gifts, and the loved ones on your list will enjoy knowing that they will likely be the only ones in the room wearing Deck the Halls or Wintervale. For the makeup addicts in your life the thrill of finding a new color will be worth hundreds of dollars, while costing a fraction of that price.